"We don’t make these ties in Macclesfield because it’s only a few hours from Jermyn Street. We do it because Macclesfield is the home of some of the finest silk craftsman in the world (it has its own silk museum, for Pete’s sake!) 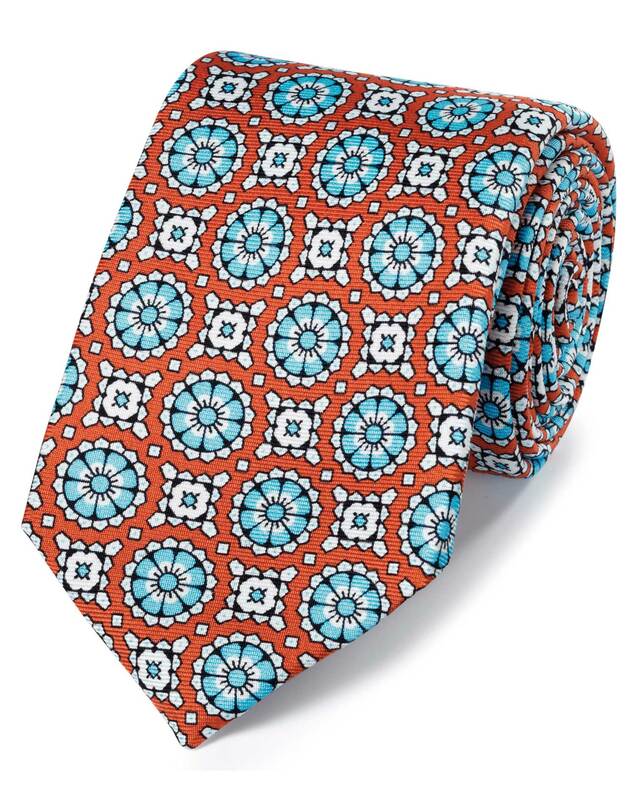 Opulently crafted from 36oz silk, these ties are exclusive to our shelves; which makes me swell with pride." "Made in Macclesfield from magnificent 36oz silk, this printed tie is the height of British elegance."